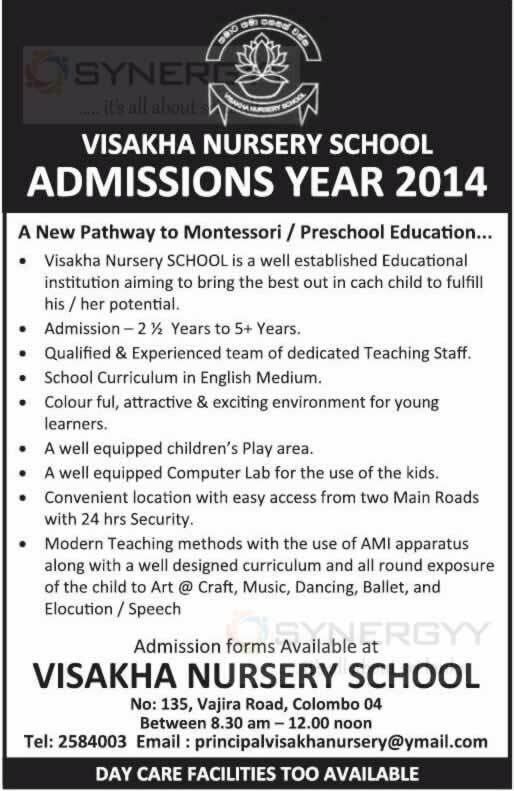 The Leading Visakha nursery calls Admissions for the Year 2014, those who wish to send their kids to Visakha Nursery could visit to Visakha Nursery on weekdays from 8.30 Am to 12.00 Noon to collect Application form. 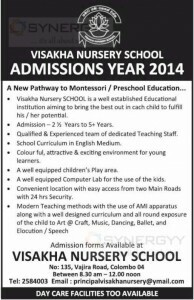 Visakha Nursery SCHOOL is a well established Educational institution aiming to bring the best out in each child to fulfil his / her potential. Introducing the ‘Standard Chartered Bungalow Getaway’ promotion with Bungalows.lk, exclusively for Standard Chartered Credit Cardholders. Choose to stay at any of these exciting bungalows and enjoy 25% savings. 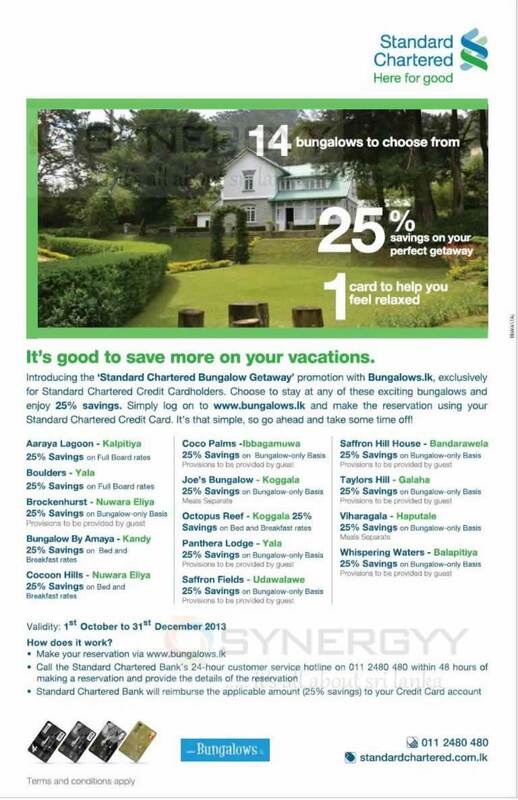 Simply log on to www.bungalows.lk and make the reservation using your Standard Chartered Credit Card. It’s that simple, so go ahead and take some time off! 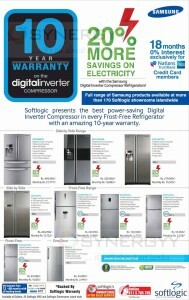 30% Special Discount on all shipments exceeding 5Kgs all the way from USA to your doorstep this Christmas season. 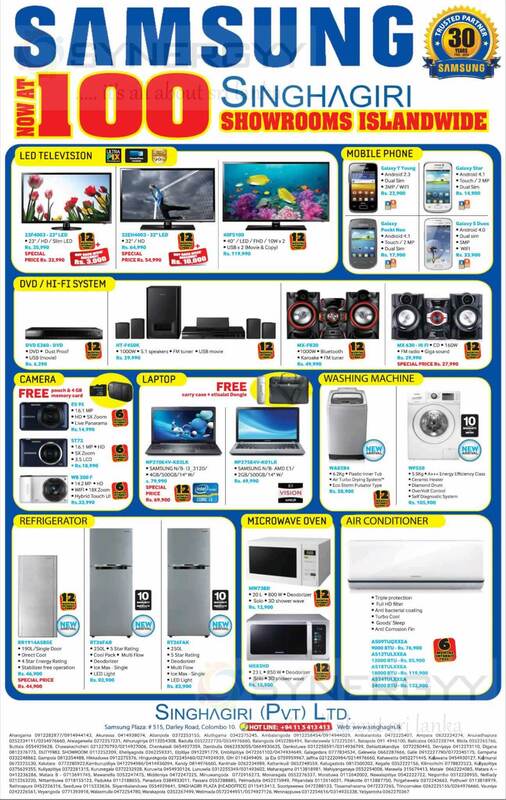 We are www.clickshopusa.lk the shopping facilitator that delivers your desires directly to your doorstep from the major retailers and many more n the USA. Cut-off dates for your Christmas Packages to arrive at the Clickshopusa warehouse in NJ, USA. Russell Peters Live in Sri Lanka on 3rd November 2013 from 8.00 PM at SLECC. 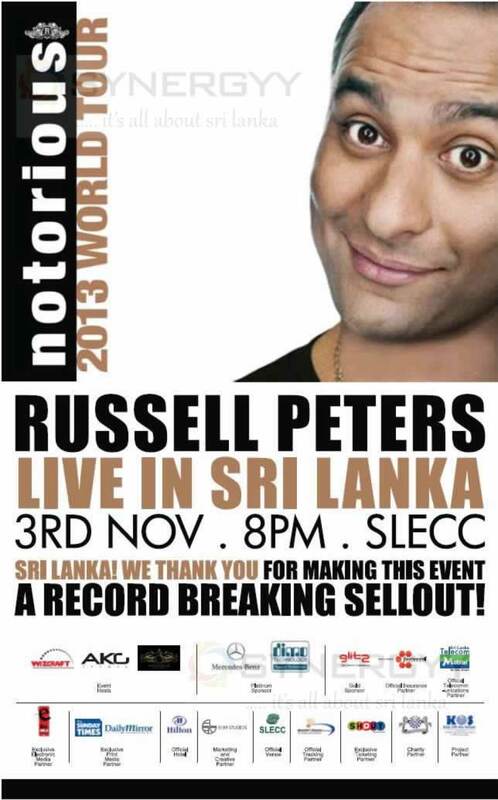 A record Breaking sell-out Russell Peters Live in Sri Lanka will be held on 3rd November 2013 as scheduled from 8.00 PM at SLECC. Russell Peters is a Canadian Comedian and Action who won Gemini award in 2008 and he stated him selves as comedy performer and organised and attributes many Comedy Shows and Movies upto now. Posted on October 31, 2013 Categories Entertainments and Happening in Sri Lanka, Exhibition, Events and Celebrations in Srilanka, My Observations and thoughts, NEWS, Prasanna's Diary (Sharing), Sri Lanka News, Sri Lanka Promotion and DiscountsTags Events in Srilanka, I Am Sri Lankan, Sale & Promotion in Srilanka - October 2013, Sale/ Promotion/ events in Srilanka - November 2013, Sales & Offers in Srilanka - SynergyY Promotion 2013Leave a comment on Russell Peters Live in Sri Lanka on 3rd November 2013 from 8.00 PM at SLECC. 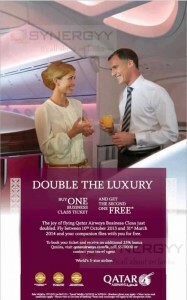 Qatar Airways brings you a Double Luxury Promotion of Buy one and Get one Free in Business class Ticket. The joy of flying Qatar Airways Business Class just doubled. Fly between 10th October 2013 and 31st March 2014 and your companion flies with you for free. 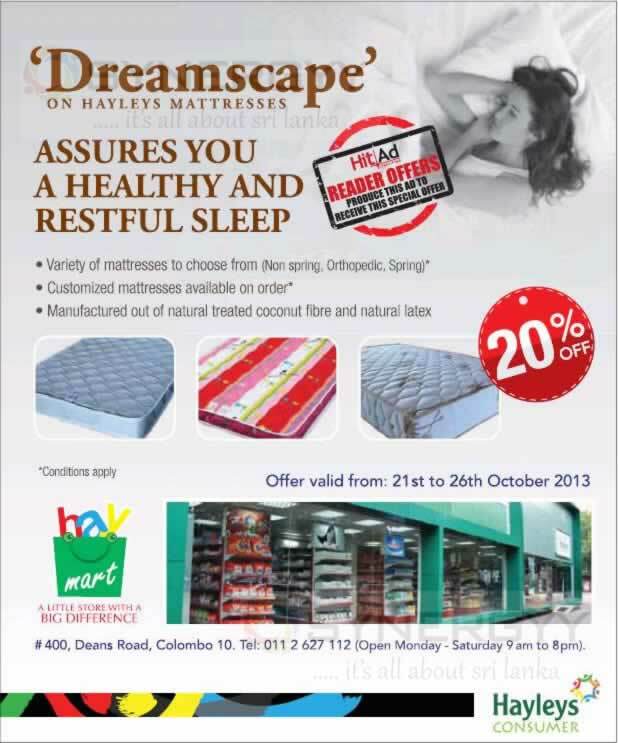 Sales Valid from 07th October 2013 to 06th November 2013 and travel Period will be on 10th October 2013 to 31st March 2013. 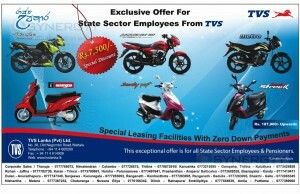 The TVS Sri lanka announce Special Exclusive Offer for State Sector Employees from TVS and special discounts of Rs. 7,500.00 and the Prices are starts from Rs. 187,900.00 Upwards. 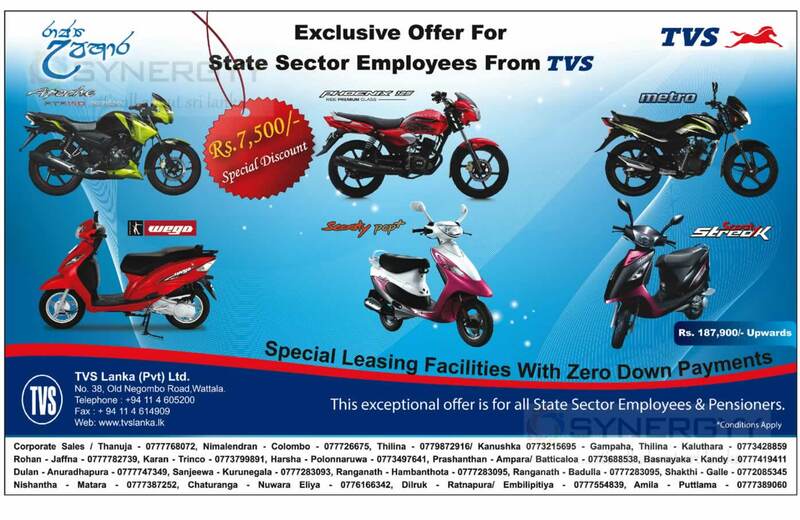 This exceptional offer is for all State Sector Employees & Pensioners. The 7o North; a leading restaurants in Colombo Cinnamon lakeside offers you an extended Happy Hours to 3 Hours from 4.00 Pm to 7.00 Pm From Monday to Friday. 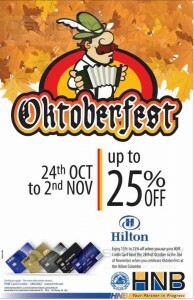 And enjoy 47% Savings on Selected Cocktails, Beers, House Pouring Spirits and Soft Beverages. 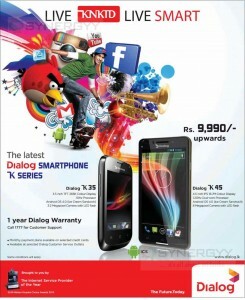 The Dialog Introduced K Series Dialog Smartphone of K35 and K45 to Srilanka Market at an affordable price of Rs. 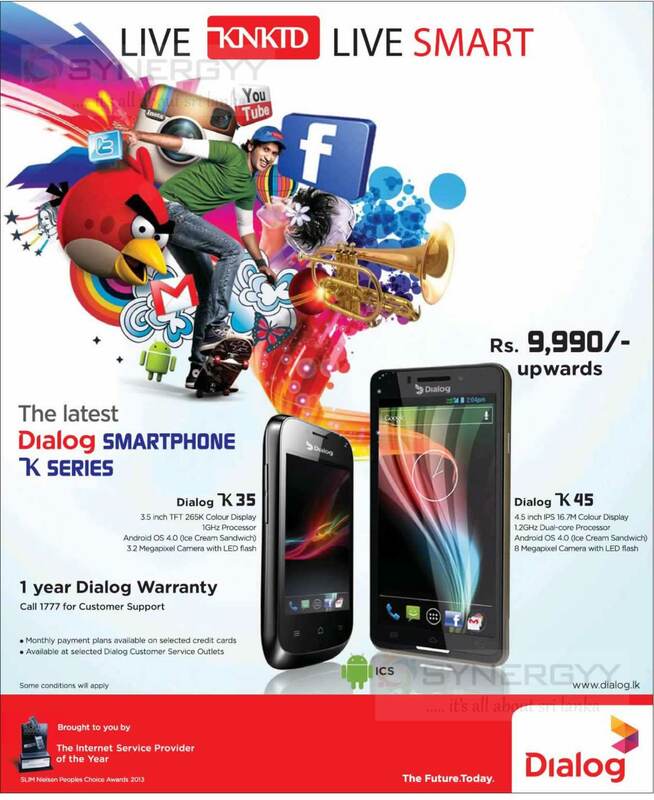 9,990.00 to experience latest Android Operating Systems. 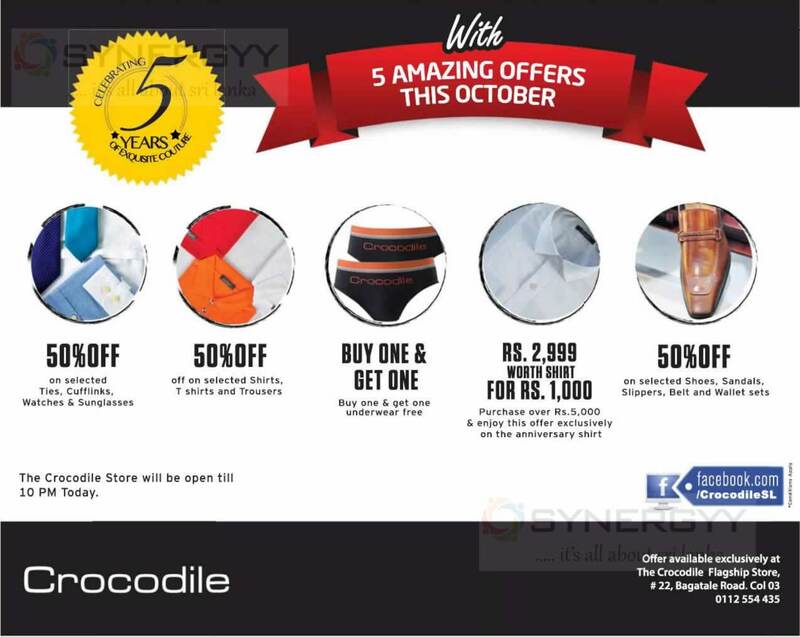 Crocodile Sri Lanka announces awesome discounts of 50% off on their Clothing and Fashionables in this 5th Year celebration in Sri Lanka. 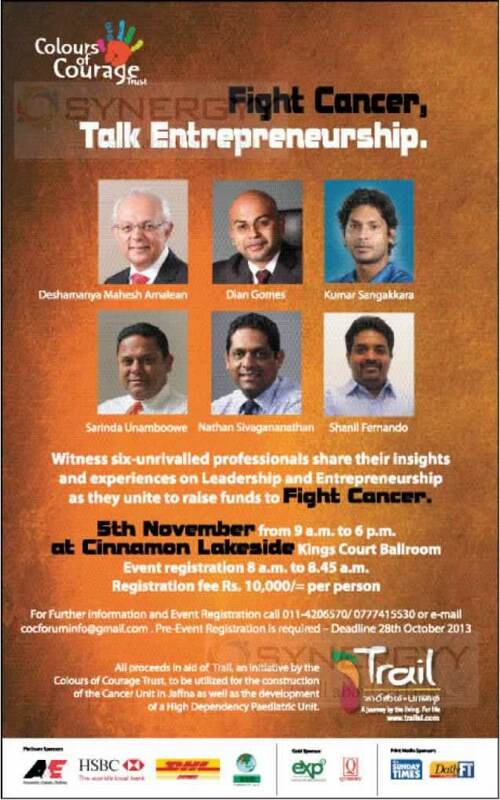 Colours of Courage Trust Organise an event of Talk Entrepreneurship to raise funds to utilize for the construction of the Cancer Unit in Jaffna on 5th November 2013. 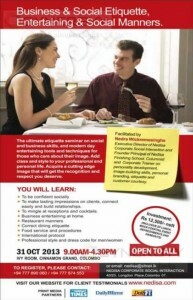 The ultimate etiquette seminar on social and business skills, and modern day entertaining tools and techniques for those who care about their image. 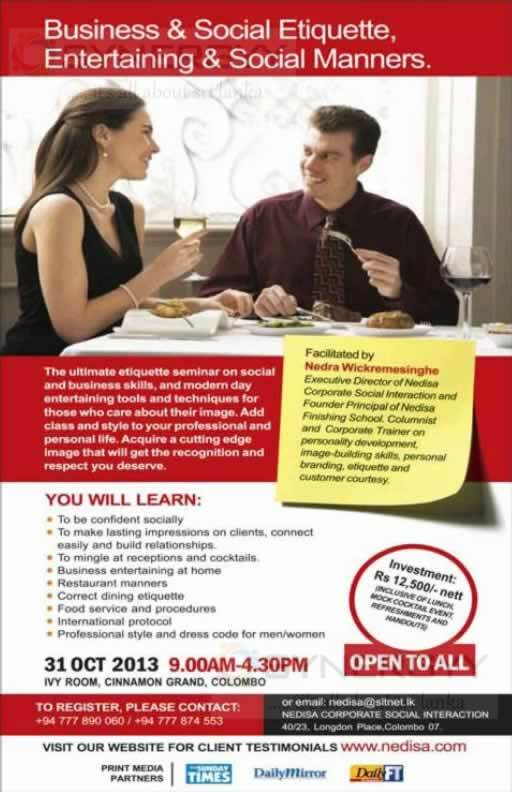 Add class and style to your professional and personal life. Acquire a cutting edge Image that will get the recognition and respect you deserve. Event is Schedule on 31st October 2013 from 9.00Am to 4.30Pm at Ivy Room Cinnamon Grand, Colombo. The Leading Vocational Training Institute of Sri Lanka, the Open University of Sri Lanka launched the New Certificate course of Android Application Development and Python Programme Development in Sri Lanka for first time. World class platform for creating applications and games for Android users everywhere. Interesting Applications can be instantly distributed and sold in the global Application stores. Language of choice of Internet giants such as Facebook. Quora, Reddit, Hubspot, Path and many others, they’re looking for more people with skills in this language. Successful candidates will receive a valuable certificate from the OUSL – the national University promoting education to masses through Open Distance Learning. Any person above 18 years old is eligible. 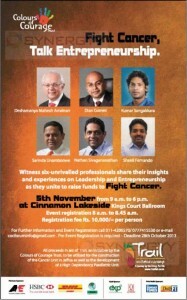 Limited places available for registration. 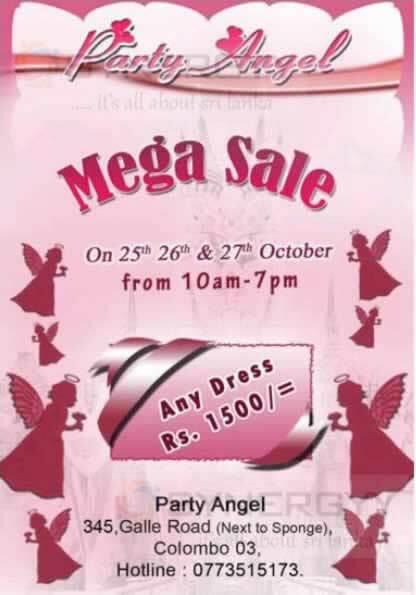 The Party Angel organise an special mega sale promotions on 25th to 27th October 2013 from 10.00 Am to 7.00 Pm. All you have to do is, post your favourite picture that you took of a direct Mihin Lanka destination on our facebook wall and enter your personal details along with an inspirational tag line for the photo. Your photograph will stand a chance to be featured in our famous year end Ahasa magazine 12th issue which has over half a million readership! 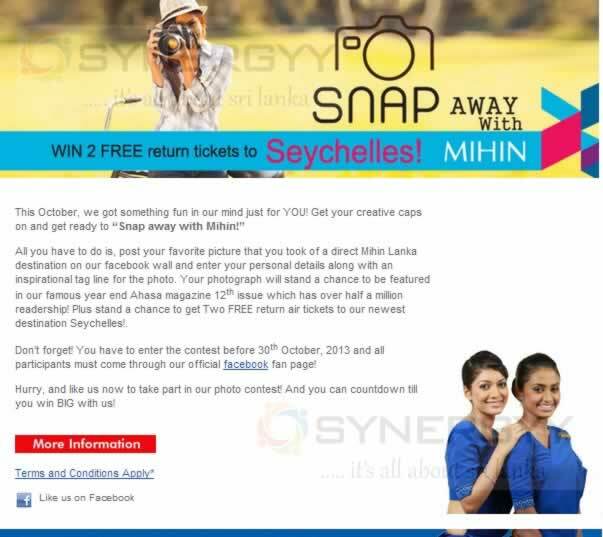 Plus stand a chance to get Two FREE return air tickets to our newest destination Seychelles! Don’t forget! You have to enter the contest before 30th October, 2013 and all participants must come through our official facebook fan page! Hurry, and like us now to take part in our photo contest! And you can countdown till you win BIG with us! 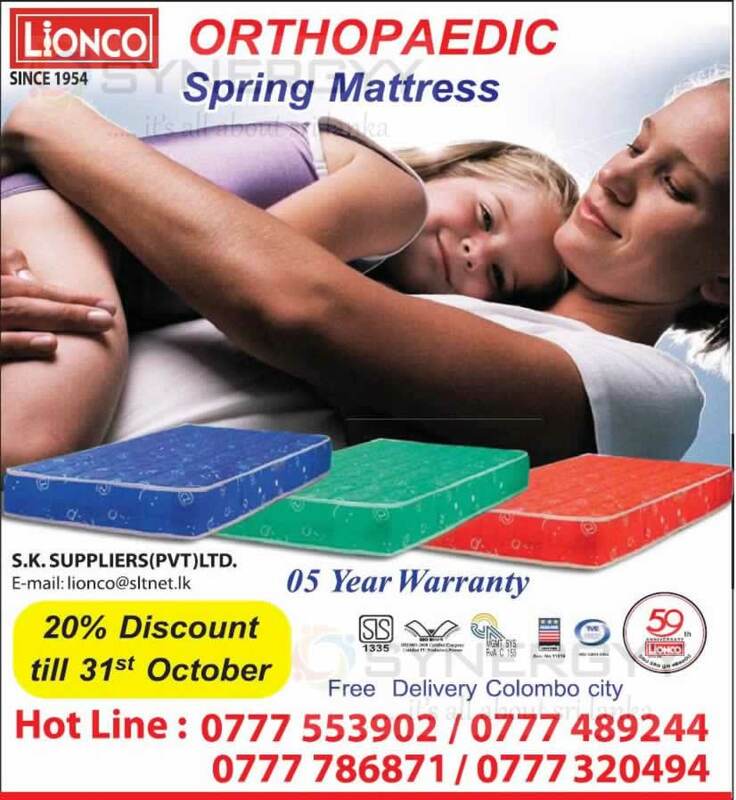 Lionco announces a special promotion for the Orthopaedic Spring Mattress at special price of 20% off till 31st October 2013 with 5 Year warranty. The Leather Collection announces a special 4 Day 40% off promotions on their wide range of Leather products at Flower Road showroom. 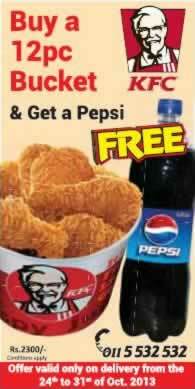 KFC Sri Lanka brought you an interesting promotions for your day out buy 12 Pc Bucket and get a 1 ½ Litres Pepsi free. 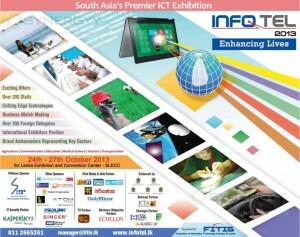 Federation of Information Technology Industry Sri Lanka organised an Info Tel 2013 Exhibition at SLECC from 24th to 27th November 2013. HSBC rewards you with special FlySmiles offers. Enjoy reduced fares to selected destinations when you redeem your HSBC Rewards Points. 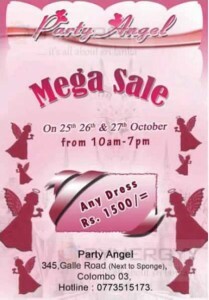 Promotions are valid for Chennai, Bangalore, Maldives, Bangkok, Singapore, Kuala Lumpur, Hong Kong, Abu Dhabi, Dubai and London. 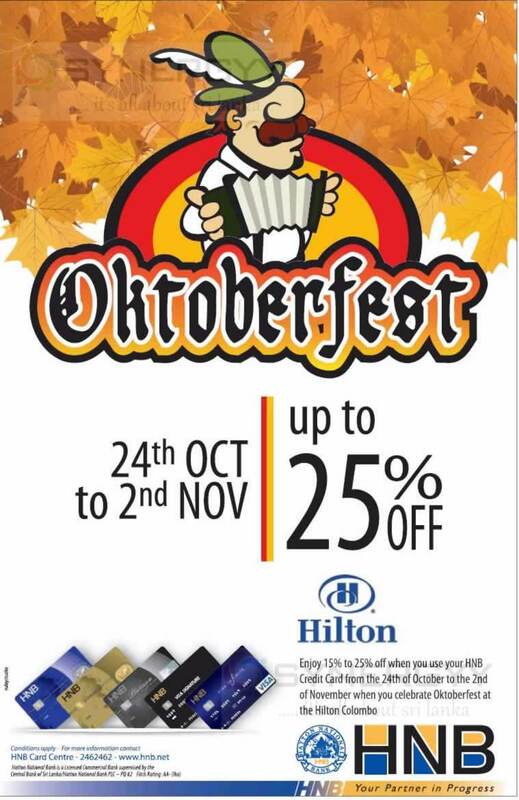 The Hatton National Bank offers you an amazing promotion of 15% to 25% off when you use your HNB Credit Card from the 24th of October to the 2nd of November when you celebrate Oktoberfest at the Hilton Colombo. 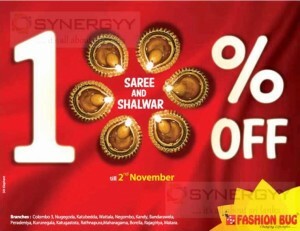 Leading fashion retailers Fashion Bug offers you a 10% off till 2 November 2013 for the Hindu’s Deepawali festive season. 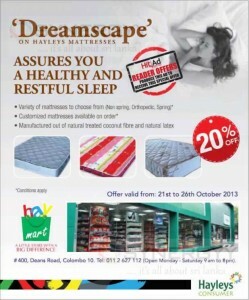 The Hayleys Consumers offers you 20% off on Dreamscape Hayleys Mattresses on 26th October 2013 at Hay mart, #400, Deans Road, Colombo 10. Softlogic announces special promotions for the Samsung Refrigerators with 10 Year warranty and enable you to save 20% more Energy. The Seylan Bank announced special Seylan Visa Traveller’s Card to mitigate your risk of in-convinced of carrying cash on your travels. The The Seylan Visa traveller’s Card, which is more than just a travel card, is an alternative to traveller’s cheques and other modes of payment while you’re overseas. It’s safe, secure and easy to use. 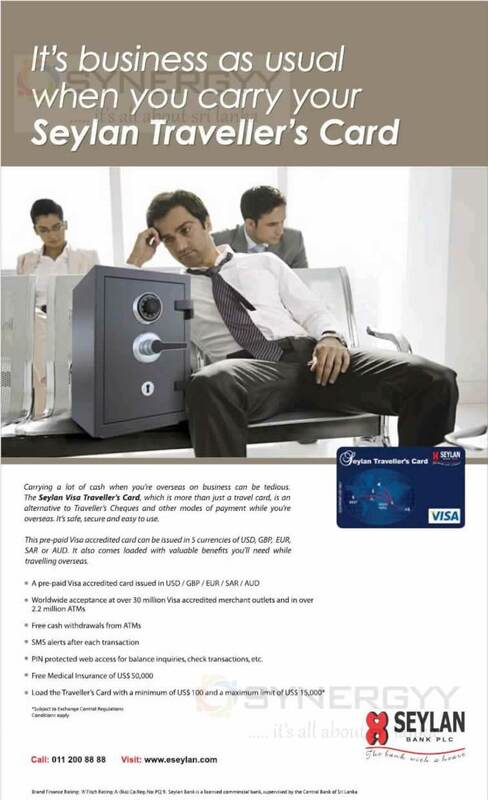 This pre-paid Visa accredited card can be issued in 5 currencies of USD, GBP, EUR,SAR or AUD. It also comes loaded with valuable benefits you’ll need while travelling overseas. 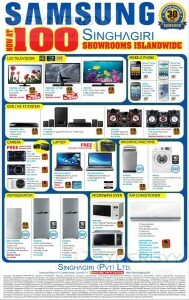 Samsung Sri Lanka open up their 100th Showroom in Island wide and announces a special Promotion for this celebration. 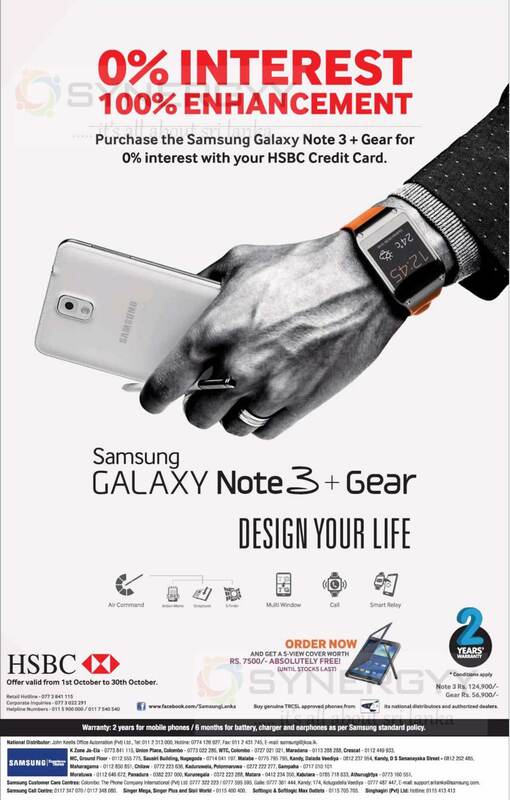 Purchase the ultra Smart Samsung Galaxy Note 3+ Gear Smart Watch for 0% interest with your HSBC Credit Cards now with Rs. 7,500.00 worth of S-View Cover Free. 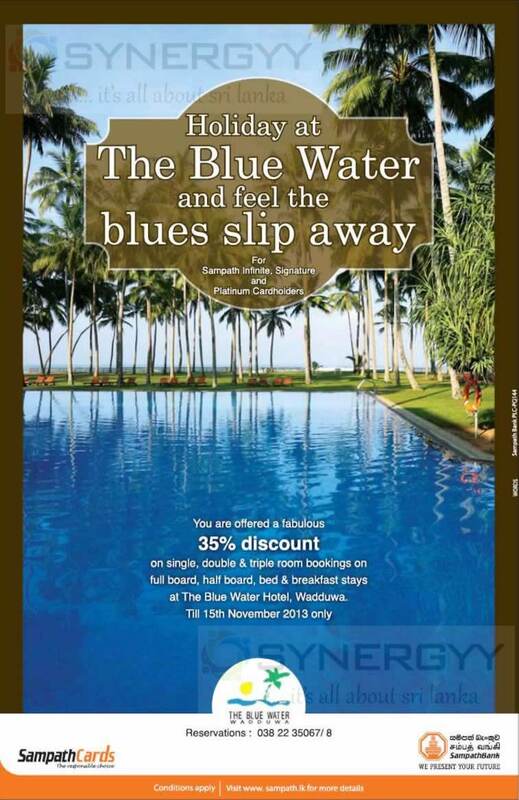 Celebrate your Off Season Holidays at The Blue Water and feel the blues ship away For Sampath Infinite, signature and Platinum Cardholders. You are offered a fabulous 35% discount on single, double and triple room bookings on full board, half board, bed & breakfast stays at The Blue Water Hotel, Wadduwa. Till 15th November 2013 only. 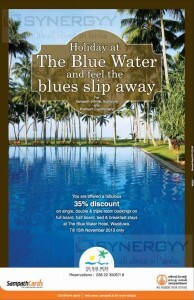 For more information about the offer please contact to The Blue Water Wadduwa Reservation- 0382235067/8 or see below image.